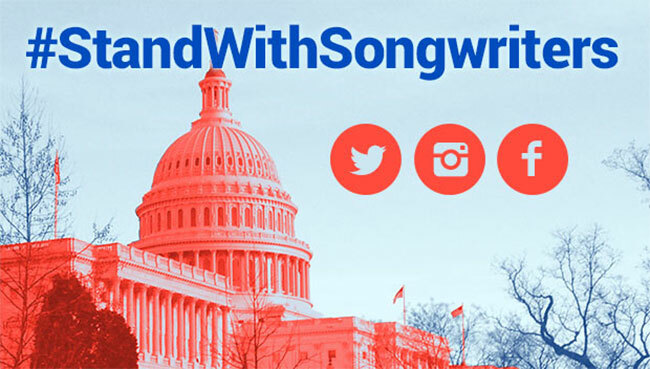 Award-winning songwriters will convene on Capitol Hill on Thursday, May 17th to meet with elected officials as part of the annual American Society of Composers, Authors & Publishers’ (ASCAP) “Stand with Songwriters” Advocacy Day. They will ask senators to cosponsor the Music Modernization Act, the bipartisan music reform bill that passed unanimously in the U.S. House of Representatives on April 25th and was recently re-introduced in the Senate. The meetings will follow tonight’s “We Write the Songs” concert at The Library of Congress, sponsored by The ASCAP Foundation. The event features performances by popular ASCAP members who will be introduced by Members of Congress, including Johntá Austin (Mariah Carey, “We Belong Together,”), Brandy Clark (Miranda Lambert’s “Mama’s Broken Heart”), Mike Love (The Beach Boys’ “Good Vibrations”) Michael McDonald (“Takin’ It To The Streets.”), Jason Mraz (“I’m Yours”) and Suzanne Vega (“Tom’s Diner”).